Anthony Henday Drive is a ring road encircling the city of Edmonton, Alberta, Canada. Image courtesy of Government of Alberta. Anthony Henday Drive, the ring road encircling Edmonton, stretches 27km in length in the northeast. Image courtesy of Government of Alberta. 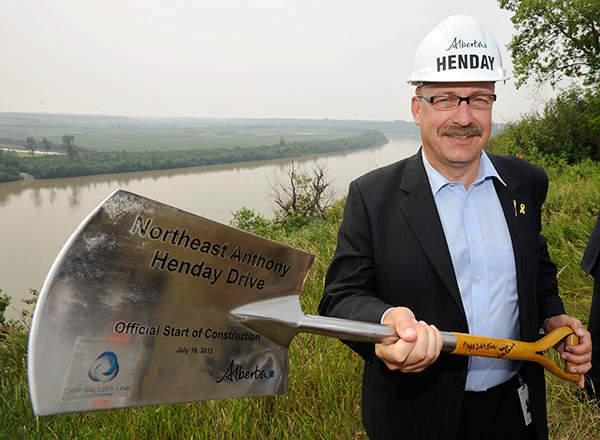 The north-east segment of the Anthony Henday Drive was completed by October 2016. Image courtesy of Government of Alberta. 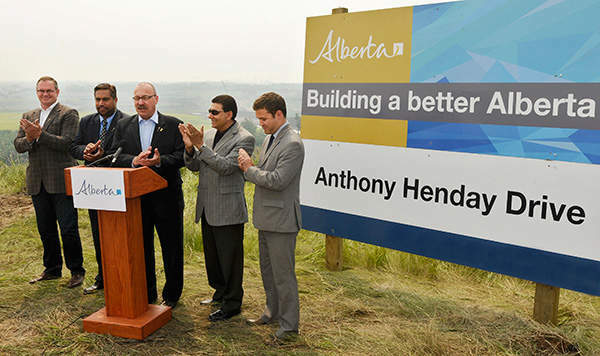 The sod-turning ceremony on the final segment of Anthony Henday Drive was held in July 2012. Image courtesy of Government of Alberta. Edmonton Ring Road, also referred to as Anthony Henday Drive (named after the first explorer of north-west Canada), is a highway encircling the city of Edmonton, Alberta, Canada. The 78km road opened to traffic in October 2016. The 27km-long final segment of the project was constructed as part of a 34-year public-private-partnership (P3) contract signed in 2012 between the Alberta Government and Capital City Link Group. 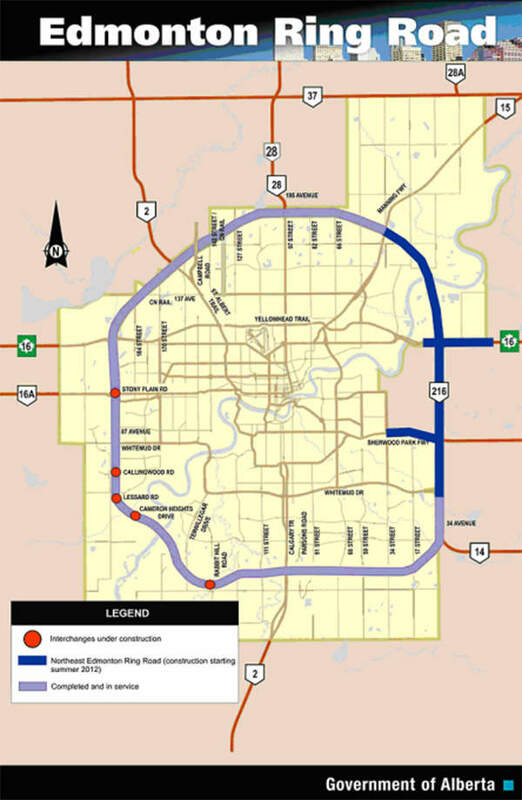 The proposals to build a ring road around Edmonton date back to the 1970s. Land for the project was purchased under the Transportation and Utility Corridor programme. These proposals were taken into consideration in March 2004 with the commencement of planning on the south-east leg of the ring road. It was the first P3 project in Alberta. The whole ring road is divided into four sections, namely Northeast, Northwest, Southeast and Southwest. The 24km-long south-west section of the ring road was completed by October 2006, which stretches between Highway 2 and Highway 14, and includes 20 bridges and five interchanges. It also includes a six-lane road between Highway 2 and 50th Street, and is a four-lane highway between 50th Street and Highway 14, which was completed in October 2007. A consortium of Access Roads Edmonton acted as the design, build and operate contractor for the segment. Funding for the segment was extended by Macquarie Essential Assets Partnership (MEAP). The north-west segment of the ring road stretches 21km between Yellowhead Trail and Manning Drive Freeway. Tenders for the project were issued in July 2007 and it was built under P3. Land acquisition for the segment’s construction, which includes five flyovers, eight interchanges, 27 bridge structures and no traffic signals, was completed by August 2007. In July 2008, NORTHWESTCONNECT General Partnership was selected as the preferred bidder amongst three groups qualified with a bid price of $1.42bn. Construction of the segment was completed in November 2011. Capital City Link Group won the bid for the construction of the north-east segment of the ring road in May 2011. Financial closure was achieved in May 2012 and the contract was valued at $1.81bn. The P3 model helped to complete the construction three years earlier than the conventional method. The sod-turning ceremony of this 27km final segment of the ring road was held in July 2012. Construction on the final leg of the ring road includes reconstruction of 18km of six and eight-lane freeway, and construction of 9km of new six and eight-lane freeway, eight interchanges, seven grade separations, nine flyovers and 46 bridges, including twin river bridges. The entire road was constructed in five sections. Construction work on section 1 was carried out between July 2012 and June 2016, section 2 between November 2012 and May 2015, sections 3 and 4 was constructed between August 2012 and September 2016, while section 5 from October 2012 to November 2015. Construction on the whole stretch was completed by October 2016. Capital City Link Group, a consortium of Meridiam Infrastructure NEAH ULC, ACS NEAH Partner, and HOCHTIEF NEAH Partner, is the main contractor for designing, constructing, financing, maintaining and operating the north-east section of the ring road. A joint venture between Flatiron Constructors Canada, Dragados Canada, Aecon Construction Management and Lafarge Canada was subcontracted for the design and construction of the project. HOCHTIEF PPP Solutions North America, ACS Infrastructure Canada, and MNII Canada I are the project leads. Financing for the project was managed by ACS Infrastructure Canada. Volker Stevin Contracting is responsible for the operation and maintenance. The construction was managed by Flatiron Constructors Canada, Dragados, Aecon, and LaFarge. AECOM, Stantec, MMM Group, AMEC, EBA Engineering, and Buckland and Taylor are the designers of the project.